You can build your own Frankenstein guitar like Eddie Van Halen. This is not so difficult today. 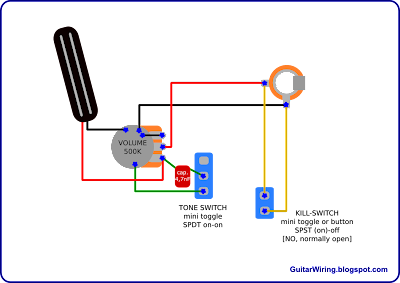 I will show you my idea on how it can be done from the electronics wiring side. 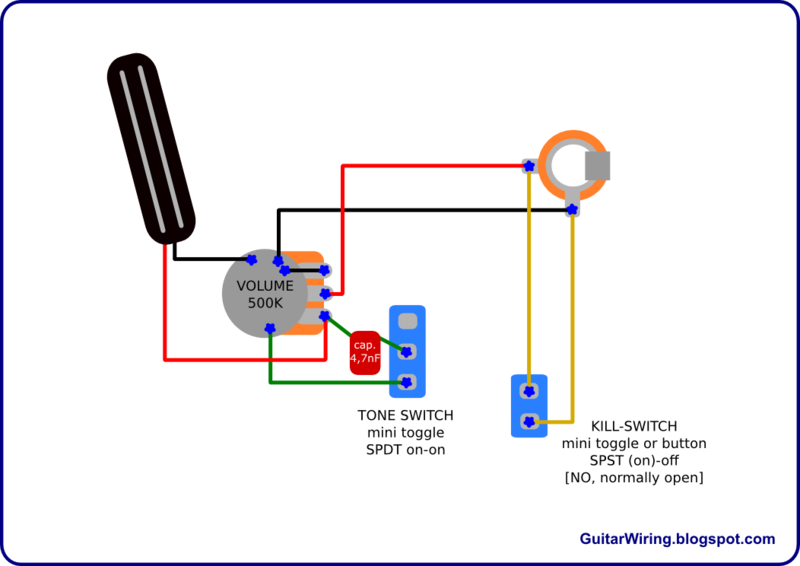 My wiring is designed for use with a Stratocaster style guitar. I'm suggesting a Strat, because it's a very comfortable guitar for modifications. It has got easy to change pick-guard and electronics. Many on-line stores are selling parts for these instruments. The market has got a lot of Squiers and other, economical constructions stylized on famous Fender. You can also use some MIM Strat or even Warmoth parts. 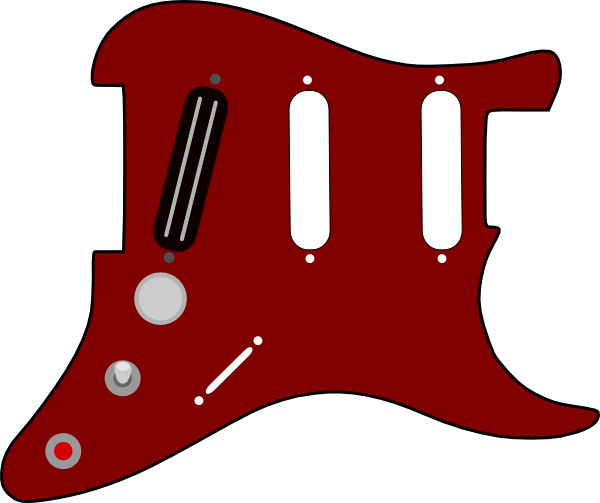 My wiring design is based on one pickup: single-coil sized humbucker (or full size for Fat-Strat). The circuit is quite original - it's not a copy of the Frankenstein. It has got three signal controllers: volume control, tone switch and killswitch. I think, that they can be very useful for fans of shredding and heavy rhythms. SPST mini switch/button (on)-off [NO - normally open]. It's a one pickup construction, so there is no pickup selector. There is only one potentiometer – volume. I decide to use only one, because of cool treble response of this kind of wiring. Manufacturers like Charvel or ESP are also using this method in some of their guitars. It's a very good thing for aggressive play – like shredding or rhythmic palm muting. Eddie Van Halen also prefer this way. With more pots, the wiring would be „smoother sounding”. The switched on tone switch will cut off some portion of treble. It will be a portion of quite high frequencies, so your tone will be darker, but not dull. For my taste, it sounds especially good with a distortion effect. The killswitch is made from a momentary switch. It will „kill” a signal only when you will be holding it on. If you know Buckethead, you know what I'm talking about. If you don't need the killswitch or the tone switch, you can just omit one of these circuits. The wiring can work without them. My wiring design is made for those of you, who are looking for distinct and screaming guitar tones with distortion. Something in vibes of Van Halen, George Lynch etc.